It’s been a harried spring for my family, too much to handle really, and we’ve barely had space to breathe, to take in the season, and to spend quiet time with one another. We needed time that didn’t feel frayed at the edges by too many obligations. We moved recently, across the country, from the mountains to the seaside. I’m so very thankful, but moving takes its toll, and I am tired. I’m also happily working on a second book, overdue now, to complement my first book. It’ll be published a year from now, and I think you’ll like it very much, but in the meantime, between the strain of a cross-country move and the pressure of a time-sensitive deadline, I feel worn. More than worn. So we took a break the other day: my husband from unpacking box after box, and, for me, a break from staring at the computer screen as tried, and struggled, to coax more words out onto the page and to clean up what I had written for next year’s book. We hopped in the car, grabbed our kid and his friend, and drove a few miles down the road to a U-pick strawberry farm. 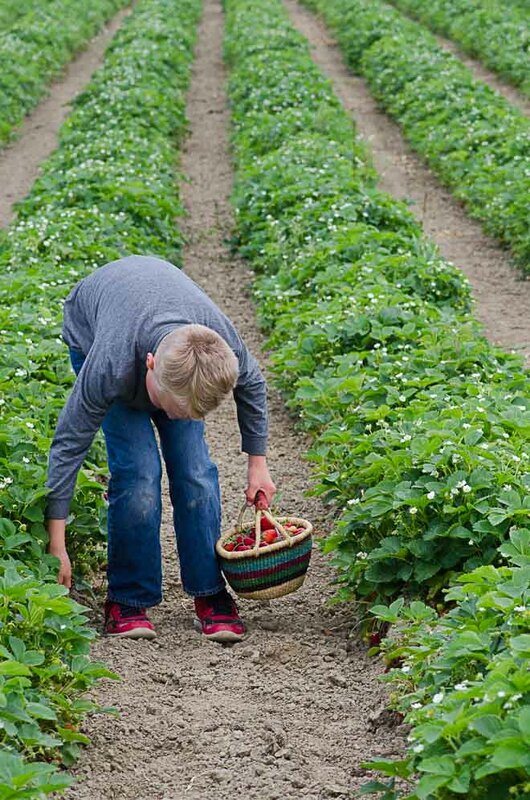 Berry picking is a wonderful way to encourage children to love the outdoors, and to enjoy fruits and vegetables as they have a hand in their production. It’s early in the season for berries, and their sweetness hasn’t yet set in fully, but we scoured the green rows flecked with white flowers, and picked what we could: some for drying, some for packing in lunchboxes, and others to roast in honey and add to this Yogurt Panna Cotta. I make dessert once a week, with the occasional midnight fit of cooking baking as my husband and I stay up too late, binge watching watch Game of Thrones. Once a week, generally, seems plenty enough for us, and the rest of the time we need something sweet, I point to the wicker fruit basket that sits, perpetually filled, on the countertop or to the dried fruit and nuts in the cupboard. Even though I make dessert only once a week, I still favor simple desserts and treats, lightly sweetened by natural sweeteners (though white sugar does, occasionally, make its appearance in our home – usually during the holidays). These desserts need to be good enough that I might serve them to my little boy as breakfast, and Yogurt Panna Cotta with Honey-Roasted Strawberries is one of them. Simple, fresh, mildly tart, lightly sweet and nourishing. Roasting strawberries deepens their flavor, and they become jammy and robust where they once were delicate and light. It’s simple like that: yogurt, fruit, honey, gelatin and a sprinkling of vanilla bean powder. 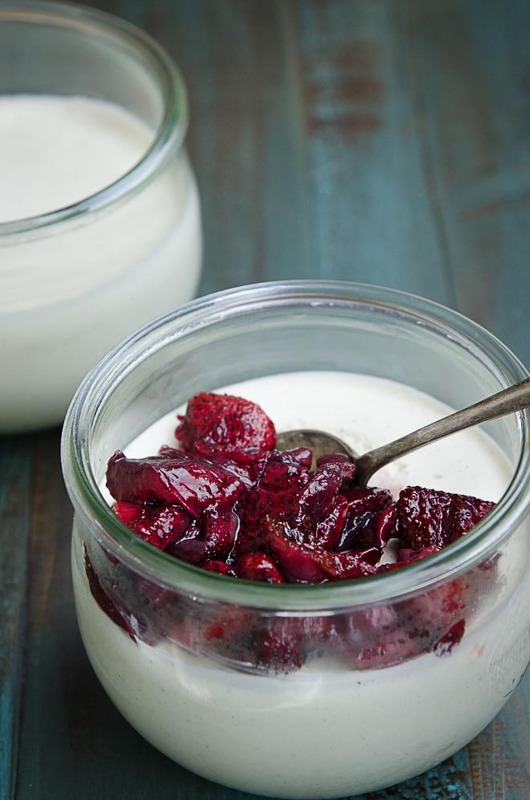 Yogurt provides protein, satiating fats and probiotics that support gut health and immunity, fruit provides fiber and vitamins, and gelatin provides a boost of protein while also giving panna cotta its characteristic form. The result is a dessert that’s delicately and very mildly sweet, slightly tart, utterly creamy and, most importantly, filling and satisfying. Gelatin is a powerfully nourishing ingredient, and some evidence shows that it can protect against the aging effects of sunlight (read it here) and might help to mitigate arthritic pain as we age (read it here). While it’s not a complete protein in and of itself, being primarily made up of the amino acids glycine and proline, it has a protein-sparing effect meaning that helps you get more out of the proteins you do eat. 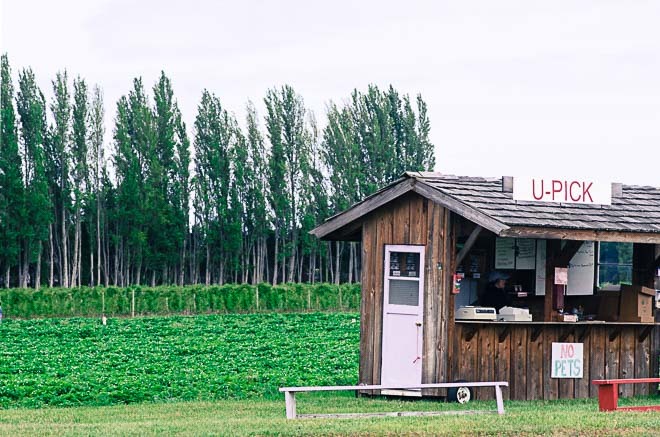 I believe that how I source my family’s food matters, and while most of us don’t enjoy the luxury of knowing every farmer that feeds us, we can still do our best to support farms and producers that operate with the ethics that we value. I’ve been working with the folks at Vital Proteins who provide gelatin made from grass-fed beef hides, both using their collagen protein in cooking and their collagen peptides as a supplement (stirred into morning tea like this Chai-Spiced Butter Tea). All gelatin is relatively heavily processed to extract the proteins from collagen-rich meats, bones, hides and joints, but I choose grass-fed gelatin not only for the general health benefits of gelatin, but, rather, because it comes from animals that were raised humanely, on grass, under the sunshine and in a way that is ecologically friendly. For me, that matters very much. As properly managed grassfed cattle are doing wonders in protecting the world’s grasslands (see more here). By contrast, much of the gelatin available in the supermarket comes from questionable sources, and from animals raised in the deplorable conditions of CAFOs. Those are not practices I wish to support. I know that every step and small choice I make in the right direction matters. You can buy grass-fed gelatin products like collagen proteins (I use it for culinary purposes) and collagen peptides (which dissolves easily, and so I use it as a whole foods supplement), online here. It comes in big tubs that will last you quite a while. Yogurt panna cotta, tart, creamy and faintly sweet, makes a lovely, light spring and summertime dessert. Strawberries, roasted with a touch of honey, bring a jammy note to the yogurt panna cotta. You can make individual servings of this dessert, or use a large mold if you prefer, but keep in mind that the larger your mold, the longer the panna cotta will take to set. Pour the water iin a small bowl, and sprinkle the gelatin over it, allowing it to soften about five minutes. Pour the cream into a small saucepan, and whisk in the honey. Warm the cream and honey over medium heat until bubbles begin to form along the walls of the pan, then whisk in the soften gelatin and water. 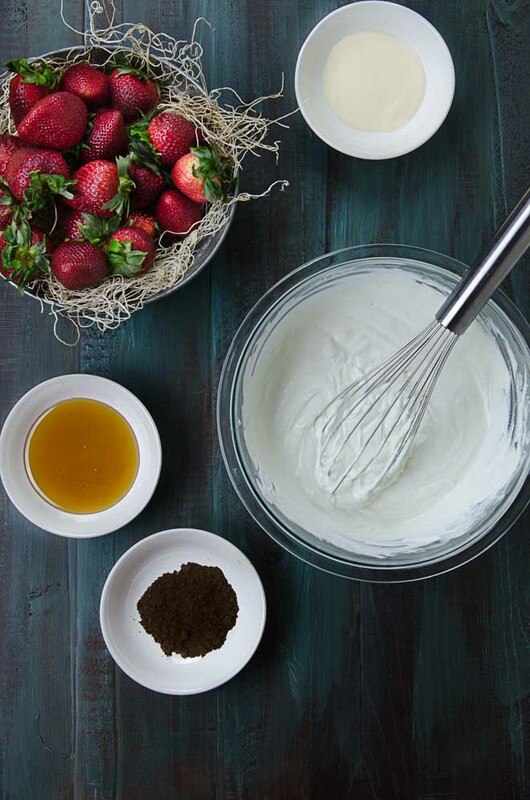 While the cream and honey warm, spoon the yogurt into a large mixing bowl and whisk in the vanilla bean powder, continuing to whisk the yogurt until it becomes lighter, like whipped cream. Fold the cream, honey and gelatin into the yogurt, incorporating them well. Pour the yogurt into molds that hold about a half cup. Transfer them to the refrigerator and allow them to set overnight. While the Yogurt Panna Cotta sets, heat the oven to 400 F. Hull the strawberries, and then cut them lengthwise into strips about one-eighth inch thick. Transfer them into a mixing bowl, and coat them lightly with two tablespoons honey. Spread them in a single layer on a baking dish, and roast for fifteen minutes or until darkened and slightly caramelized. To serve, pull the panna cotta out of the refrigerator and spoon strawberries over them. I’m so glad you guys are here!! 🙂 Moving is incredibly exhausting and overwhelming. They have an edible landscaping class that looked interesting. Please let me know if I can help you guys in any way!! Of all desserts, Panna cotta is my favorite. This yogurt based recipe sounds wonderful. I have been making Bulgarian whole milk (plus extra cream) yogurt. Do you think I could use it instead of the Greek yogurt? I have been unsuccessfully trying to make yogurt from organic whole milk and an organic Bulgarian yogurt for a starter. Not having good results. Any helpful tips you would share? Thank you! Carrie, I have had real good results with “cultures for Health ” Bulgarian starter. It’s a yogurt that requires heating the milk to 180, holding it there for a few minutes and then cooling the milk to about 115. Add the starter to the milk and pour into vessels of your choice. I use a “Brod and Taylor” dough proofing box as the warm environment for the yogurt. For one hour the yogurt is at 120 and then I turn the box temperature down to 86 and keep it there for about 11 hours. Such lovely yogurt each time. (PS adding some cream to the milk before you heat it will make the yogurt even creamier). Reserve some yogurt out for the next batch. I have heard good things about using an Excaliber dehydrator as the warm environment for the yogurt. Jenny, I made this using Bulgarian yogurt and was so pleased with the outcome. No separation of layers that I see when I make pan a cotta using milk and cream recipes. I topped ours with blackberries. I also found that my recipe set up in only a few hours, which is good for me because I could not wait to try some! Hi Jenny. I have your first book and love it. Looking forward to your second one. I went out out and picked 25# of strawberries the other day and quickly froze them. I wish I had seen your recipe first. 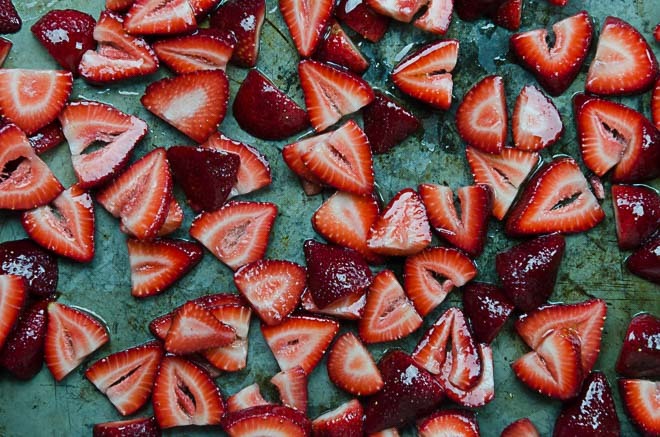 Do you think roasting frozen strawberries would work in your recipe? Thank you for such a great recipe and blog post!!! I am definitely going to make this panna cotta. You are awesome. Thank you for your wisdom and enthusiasm. Roasting strawberries sounds magnificent. I typically eat mine raw and in salads, but I’m excited to try it this way. Thanks so much for the idea Jenny. Glad you hear you are settled in your new home. Hope you enjoy all the sea has to offer (LOTS of delicious seafood). ::sniff:: The discount code seems to have been good for only one day. Alas, I will not be purchasing any gelatin today. Thank you for your comment, as well as your interest in Vital Proteins. Please know the coupon code is valid through June 8. You may be experiencing issues related to cookies or browser history/settings, especially since coupon codes do not work on Affiliate links and some of these links may be cached in your computers history. If this is the case, are you able to clear your cookies or try a different browser? If not, you can always proceed with an order, and then email us at info@vitalproteins.com with your Name & Order Number, along with the correlating Coupon Code (NOURISHED20) and we will gladly apply a 20% credit, but I hope this will not be necessary. I made this yesterday and it’s delicious. It set up wonderfully with no weird layers. I added lemon zest and some lemon juice, and then topped it with a fresh raspberry sauce. It was really good! What a delicious recipe. I added some ginger syrup and vanilla stevia since I like it a bit sweeter. Also used 1/2 honey 1/2 ginger syrup to roast strawberries……added 2 tsp chopped fresh basil after roasting. AMAZING. Would love to see nutrition info for your recipes though! Your website is my favorite food and lifestyle site of all time. 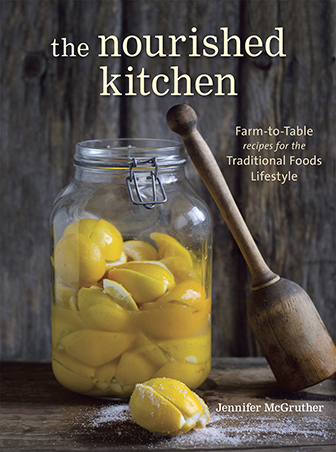 Your concept and your content are brilliant and speak to what I value in life: making everything from scratch and appreciating where your food comes from and at what cost. Thanks for all you do and keep doing it please !! This spring I roasted strawberries this way. They were incredible. The closest thing to jam without all the sugar. So as the summer moved along and other fruits came on, I started roasting those the same way. I have tried brambles (they are a bit seedy, but I don’t mind) and now blueberries. They are incredible too. Just had roasted blueberries on my spelt sourdough toast this morning and am making a new batch of roasted blueberries. Their season will pass soon. I don’t know how long the roasted berries will keep in the frig; I suppose at least a couple of weeks. We eat it before we can find out. I have been freezing fruits in pound portions, so I can enjoy them roasted this winter. They may need to roast a little longer to thicken the syrup. I have been thinking about adding basil, as in the comment above, but had not considered ginger . . . now I am! 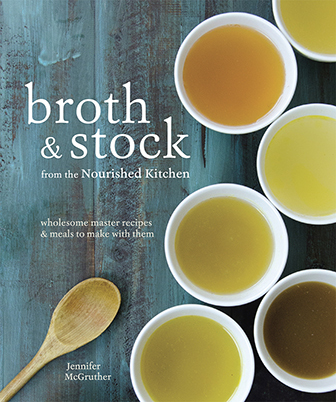 ThanX for a simply wonderful addition to our food repertoire. What a wonderful idea to roast the blueberries. I’m going to try that, too.